Faith is a matter of life and death. When we look at the prospect of death we may not see beyond it. We are children of a secular society and children of science. This is a good thing. We are tethered to the truth and as the scripture says; "The truth shall make you free." But questions that science cannot deal with involve matters of experience that go beyond things we can measure or predict. As we explore the mystery of our total human experience, there are things we simply cannot account for merely by observation. As Shakespeare said; "There are more thing in heaven and earth than you can dream of, Horatio!" A few days ago my brother and I were on the phone catching up and he was telling me of a friend who is nearing the end of his life. He was deeply saddened. His friend was afraid. I reminded Bob; "Don't forget to guide him to the Gate of Heaven!" As a parish priest, I am responsible for walking with folks right up to the Gate of Heaven. I told him of the many times I do this, simply because that is the nature of the work I do. When I was at St. John's Church in Sandwich, it happened that a dear woman in her 90's was informed by her doctors that there was nothing more that they could do. Now, St John's Church has an amazing Thrift Shop. If you are ever on the Cape stop by and browse around for a bit. There's an impressive collection of brick a brack to explore. Well, Irene's job was to price all these items. The nice thing about the Thrift Shop is that it helps folks buy things they need in an affordable way. And the proceeds all go to support the mission and ministry of St. John's Church. When she discovered that her time was approaching all she wanted to know was that there would be a Thrift Shop in heaven where she could price God's items for sale for God's poor. I assured her, after some prayer, that there indeed was such a place for her. After all, "In God's house there are many mansions!" As it happened one cold winter's night we had just arrived home in Lynn, when I received a phone call from the head nurse in a Falmouth Nursing Home that the end was now near for Irene. Cindy, we have to head back to the Cape; I said. She was such a sweet and gracious woman. When I arrived members of the staff were gathering around to comfort her. I said the Prayers at the time of death. And then I sang to her in her ear. She was far gone, but remember this dear friends; the hearing is the last to go so watch what you say in those last sacred moments. I sang to her; "Jesus loves me this I know". Ultimately my friends this is what Palm Sunday is all about. Yes it is about the suffering and the death of Jesus. It is about the suffering and death of our loved ones and all others of the human family. But we are called to look beyond that which we can see in the observable world. We are called to guide one another to the Gate of Heaven. In the church calendar Palm Sunday is also known as “Passion Sunday”. The word “passion” in the liturgical context does not carry its contemporary or modern meaning. The word “passion” comes from the Latin “passio” and refers to the Suffering of Jesus. This is what we have just witnessed in this Passion Narrative. We are continuing witnesses to the suffering of Jesus. But not just his suffering but all human suffering. Even now, too many of our friends and loved ones suffer. Children have had unspeakable suffering inflicted upon them in warfare as you know all too well. Chemical warfare and then driven from their homes they become refugees, unwanted in their own country or anywhere else for that matter. Human suffering is all too much a part of everyday life. We see more of it than anyone would ever want to see. Our mission in life as a people of faith is to lessen this suffering. It is to organize our life as a church around that suffering and to become the healing presence of Jesus on behalf of all. This is what brings us to the Highest Holy Days of the Christian year. The suffering and death of Jesus. The suffering and death of many many more. But what makes these sacred and holy days the heart of our faith is that the sin, violence, and death of all these innocent is not the final fact of our existence. Underneath all this suffering and sorrow is the Victory of Jesus over all sin and death. The reality of warfare, violence, prejudice, hatred, bigotry, bullying in all its forms may seem like the final word in all of life. But God has the final word my friends. And in our Gospel proclamation that word is Jesus. In just a few short days we will gather back here in our church, Christians the world over will gather in their churches and there will be a celebration of joy such as can hardly be described. Think of it for just a moment. We begin Holy Week today as we read the Passion Narrative. Maundy Thursday we will gather and remember that the night before Jesus died for his friends, he washed our feet to remind us that we are to serve one another as he served us. He gives us a new commandment; love one another. NO EXCEPTIONS!!! He breaks bread blesses wine and in sharing this sacrament he declares that his living body will always be within and among us. Then Good Friday we will rehearse the trial and the execution, the death and burial. Because we are to remember that as his resurrection is real, so is his death and burial. Holy Saturday at the Great Vigil of Easter we kindle the Holy Flame, and from the darkest moments of our despair we will light that one candle that reminds us that the hope of God is never fully extinguished, even in the very darkest moments of our life. Then Easter Sunday we celebrate the Risen Jesus and his power over sin and death. The great question of our faith when we face the reality of Sin and Deaht is not who do we blame or who do we hate. The question is who do we forgive and who do we love. How to we find our way toward Peace, Reconciliation and Justice with Freedom for all. The memory of Palm Sunday is indelibly imprinted in my memory because it was on this day in 1978 that I proposed to Cindy at the old Cafe Budapest in the Copley Square Hotel. I had Beef Stroganoff, and ordered a fine Hungarian wine; “Egri Bikaver” it was called; and translated; “Bull’s Blood”. There was a violin, a lovely bud vase with a red rose, and then I posed the question! She said yes, believe it or not and here we are all these years later. How appropriate now that I think about it. My life, your life is about God's love for you. Your love for one another. 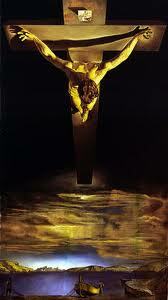 It is about the Triumph of the Cross of Christ over all that sin and death can do. We are all called to point one another to the Gate of Heaven and not just at the moment of death but at the most joyous moments of our life as well and everything in between. From the day of our engagement to now there has been a great deal of life including three children and a dozen churches. That's a lot of life. I've seen my share of joy and sadness. But the long and short of it is that the whole of my life and yours is an invitation to see the love of God because it it through that love that we come to the Gate of Heaven. This is the Alpha and the Omega of our Life. This is who Jesus is to me. The Alpha and the Omega; the beginning and the ending of my life.